Discover how different the space of one year can be when you spend it with God, reading and following in his footsteps. These daily devotional readings are for those who want to go further in their journey with Jesus. Whatever challenges you face, be confident that Jesus is with you. He will use your circumstances, even difficult ones, to make you more like Him. Spend a few moments each day at His feet. As you draw near, let the Master's wisdom shape your life and guide your way. 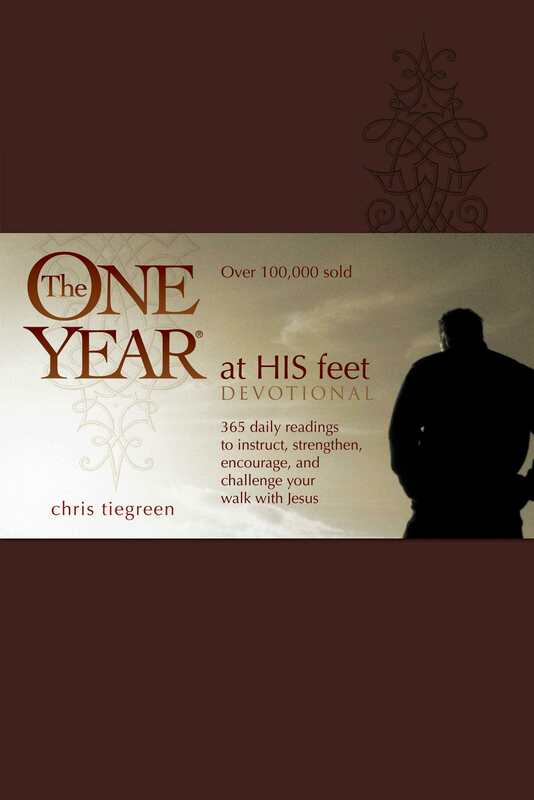 One Year At His Feet Devotional by Chris Tiegreen was published by Tyndale House Publishers in December 2007 and is our 18291st best seller. The ISBN for One Year At His Feet Devotional is 9781414311500. Be the first to review One Year At His Feet Devotional! Got a question? No problem! Just click here to ask us about One Year At His Feet Devotional.